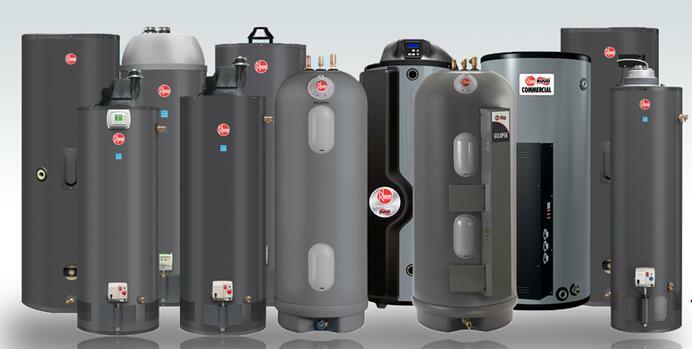 Hot Water Heaters come in many different styles and sizes. Electric, Natural Gas, Propane, and Tankless are a few of the different styles available. Sizes typically range from 20 to 80 gallons. The most common replacement unit is simply going back with the same style and size as your current unit. If you need a water heater replaced or if you have a water heater emergency just give us a call and we'd be happy to help. Life expectancy of most hot water heaters is around 10 years per the manufacturers. If you see a leak around the bottom of the unit that is a sure tell sign you should replace the unit. Sometimes a full replacement isn't necessary as there could be electrical, gas, or valve issues affecting the operation of your unit. Copyright 2017 - Recon Atlanta, Inc. - All Rights Reserved.